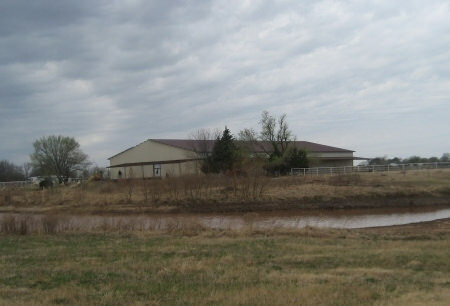 Our Field of Dreams Ranch is on 65 rolling acres in central Oklahoma, just minutes south of I-40, about 40 min. E. of Oklahoma City. 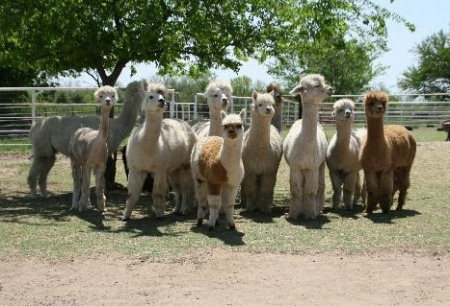 The farm features 200 huacaya alpacas. 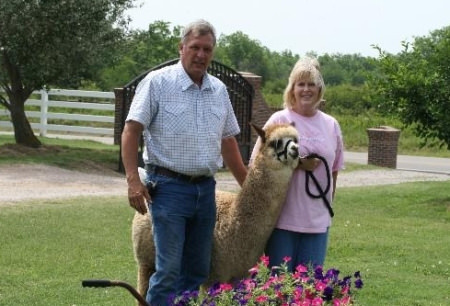 We have a wide variety for every interest, be it show, breeding, or fiber. Also alpaca showroom displays products made from alpaca. Call to schedule a tour or a farm visit. E. of Shawnee on I-40 to the Earlsboro exit. Go S. 3 mi. to 4-way stop and turn L. on Hwy. 3E. When highway curves to the S., you turn L. on 99A. It is the 1st house on the L. (white vinyl fence & brick entry).